There are many social sharing sites like YouTube, FaceBook, Vimeo. As a mainly photo/video sharing service, Instagram is also one of the popular social sharing sites. Statistic gives information on the number of monthly active Instagram users. As of December 2016, the mainly mobile photo/video sharing network had reached 600 million monthly active users. Everyday, there are millions of people posting pictures or videos to Instagram to show their lives. So it is not strange at all that some people need a Instagram Video Converter to help them upload video to Instagram freely. Why People Need an Instagram Video Converter? How to Use The Best Instagram Video Converter? Instagram has limits on video codec, video format, video bitrate, video frame rate, video resolution, video length, audio codec, etc. But people get videos everywhere. They may record a footage using their iPhone, Samsung Galaxy S7. They also perhaps shoot videos with DJI Phantom 4 Pro. Sometimes, some people also want to cut seconds videos from a classic film to post to Instagram. Anyway, you name it. These cases drives people to have an Instagram video converter to convert video formats, adjust A/V parameters, trim video length, etc. There are many Instagram converter applications that can enable people create videos for Instagram posting. But considering video file supported input, output video profile, video settings, video conversion speed and customized tools, we finally decided to recommend you Pavtube Video Converter. This all-in-one toolkit is the best video converter for Instagram. It has built up something of a name for itself for producing powerful yet easy to use software. With simple editing tools to trim unwanted footage, the ability to add subtitles, and edit audio, Pavtube Video Converter has all of your Instagram conversion needs covered - and more. Mac user can get Pavtube Video Converter for Mac to help you convert videos to Instagram. 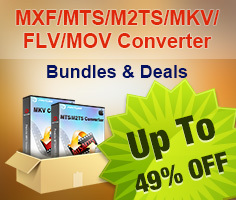 1) This Instagram converter converts a variety of files such as MOV, OGG, WMV, AVI, MXF, AVCHD, MTS and a few others but with newer formats like HD, 4K and 3D most converters can not input to Instagram supported MP4 videos. 4K are becoming highly popular formats for video files and wasting your time with a converter that is not compatible with these formats will just lead to more frustrations. This Instagram converter can handle 4K video easily then convert 4K video to Instagram supported 1080p. 2) Instagram has high requirements on video and audio settings. This Instagram video converter allows you to reset video and audio codec, bit rate, frame rate, etc to make a 1080p H.264 codec 29.96 fps 3,500 kbps video, AAC codec audio for Instagram postings. 3) Since Instagram videos are limited to shorter than 60 seconds, Pavtube Instagram converter offers some basic editing functions. Trimming and cropping are the two necessary editing tools that this Instagram video converter gives you. You can use it to cut your video to 3 secs - 60 secs for Instagram. You also can crop the unwanted black bar around with it. Besides, you also can add external subtitle to video, age video, replace/mute/fade audio with this Instagram video converter tool. 4) Instagram only supports 1080p and lower resolution videos. Pavtube Instagram video converter allows people to compress 4K to 1080p for Instagram. Besides, Instagram accepts 16:9 and 1:1 videos. Pavtube Instagram video converter can adjust aspect ratio to 16:9, 1:1, 4:3, 2:1 and also allows users to keep the original aspect ratio. 5) The interface is simple and intuitive to use which means that you can start using it within minutes of installing the program on your computer. Pavtube Video Converter for Mac is Compatible with macOS 10.12 Sierra, 10.11 El Capitan, 10.10 Yosemite, 10.9 Mavericks, 10.8 Mountain Lion, 10.7 Lion and 10.6 Snow Leopard. Pavtube Video Converter is Compatible with Windows 10, Windows 8.1, Windows 8, Windows 7, Windows XP. After installed Instagram video converter, launch it on your computer. Then click "File" button on the top menu to load your any Instagram video that you want to upload to Instagram. You also can simply drag and drop your Instagram video to the interface of the video converter to import your Instagram video. 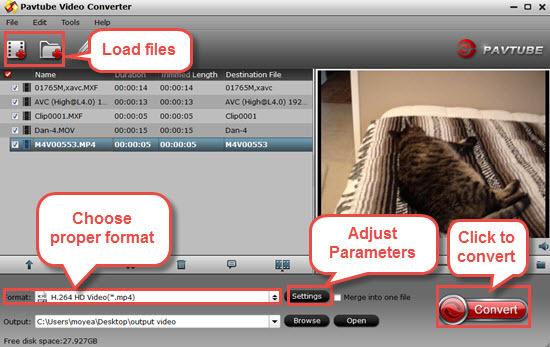 Below is the main interface of Pavtube Video Converter. Click "Format" button to open drop-down list and there you can choose MP4 format. You can choose MP4 format for Instagram in "Common Video" and "HD Video" categories. Now, click "Settings" on the main interface to start to adjust video and audio parameters to fit in Instagram according to the below specs. You can choose the right settings in this window. When you can't find the settings you want, you can simply tap it in. Now, click "Edit" to open video editing window. In “Video Editor” there are seven edit tabs: Trim, Crop, Text Watermark, Image/Video Watermark, Effect, Audio Editor and Subtitle. "The "Trim" feature allows users to decide where to start and where to end when converting the selected clip, so that unwanted segments will be cut out after conversion. 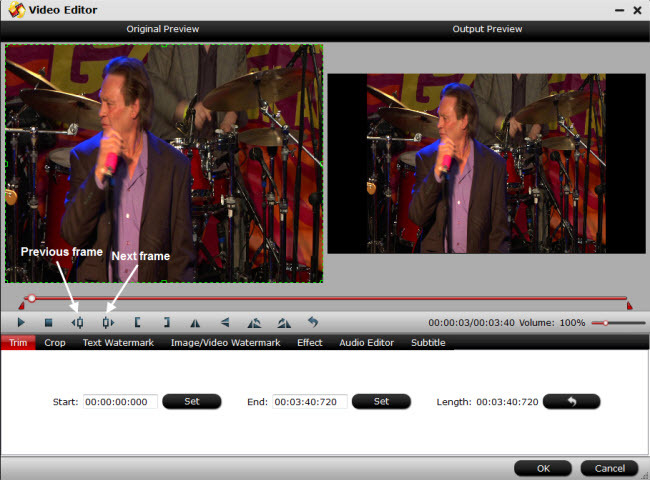 Trim frame by frame: Pavtube Video Converter offers "Previous Frame" and "Next Frame" options for users to select frames and trim accurately. If you want to remove certain frame in your video, you can use Pavtube Media Magician. It is a video editor by frame which can enable you cut off video frame and also trim video length by frame.With Pavtube Video Converter, you also can add subtitle to video, add watermark to video, mute audio, replace audio, etc in "Edit" windows. After all the settings, clicking the Convert button on main interface, you can go to Conversion window to start Instagram video to Instagram conversion. After the conversion, you can get perfect 1080p video in MP4 format by H.264 codec with 3,500 kbps video bitrate and 29.96 frames per second with AAC audio codec and 128kbps audio bitrate from your video source to Instagram. Format Factory is an ad-supported freeware multimedia converter that can convert video, audio, and picture files. It is also capable of ripping DVDs and CDs to other file formats, as well as creating .iso images.